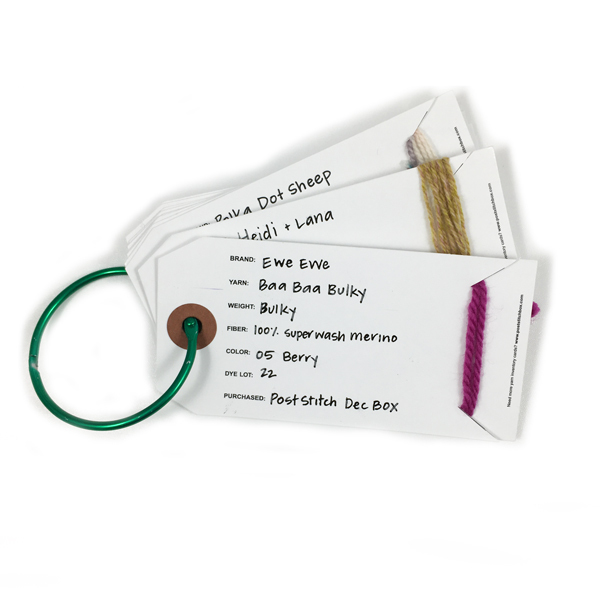 Keep your yarn organized with this set of Yarn Inventory Cards. Add the yarn's information to the front, use the optional cut lines to secure a piece of the yarn to the bottom, or staple the ball band to the back of the card. Reference these cards when you need to recall a favorite yarn, or take them with you when you shop so you know what's in your stash back home! This pack comes with 10 Yarn Inventory Cards and a 2" Ring to hold them.